2018 Project Care Charity Drive! 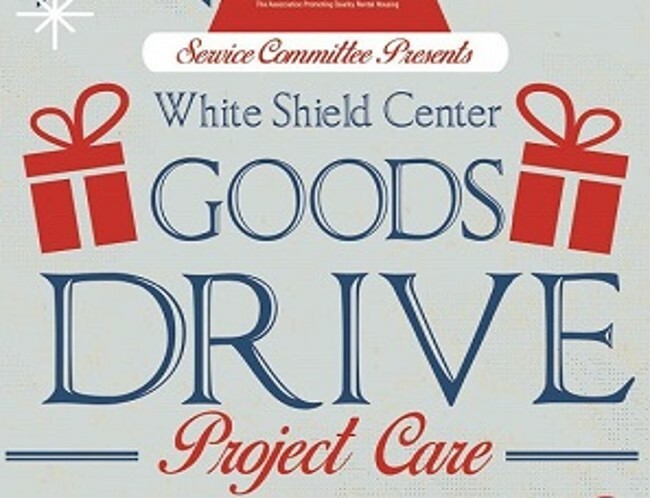 Every November the Multifamily NW Service Committee organizes the Project Care goods drive that benefits the White Shield Center of the Salvation Army. The White Shield Center specializes in providing a stable home and skills training for young women and their families. Donations of new goods can be dropped off at the Multifamily NW office through November 30th. Personal toiletries, diapers, art and craft supplies, batteries, board games, etc. are truly appreciated. Alternatively, visit this Amazon Wish Link to send donations or follow this link to be invoiced a donation amount to benefit Project Care and the Service Committee members do the shopping for you! A heartfelt THANK YOU to all who have supported Project Care in the past and who participate in 2018!